Social Media: Can it really foster friendships and small business connections? Last week I listened to a woman speak on the radio. She mentioned a study done recently about over-active Online users being sleep deprived, suffering from insomnia. The study pointed to the idea that going Online, just before bedtime, was hurting sleep patterns for many people. She then made a comment about how “we should be spending time with REAL people and making REAL connections with other human beings” – rather than spending our time with pretend friends, Online. Since taking over MommyPerks.com back in early 2009, I can safely say that I’ve met some of the best friends I’ve ever had and I met them Online. It seems to hold true that we draw to ourselves that which we want around us. I attempt to draw caring, wonderful, creative, hard working, smart moms my way. So far, that’s exactly what I’ve gotten. I’ve become great friends with many of my clients through email, twitter, facebook and over the telephone. I’ve met some of them in person now, also. Louise, owner of Signing Families, is one such friend. She stumbled upon Mommy Perks long ago and contacted me about advertising. From there, we grew closer and chatted about our businesses: Personal Child Stories and Signing Families. 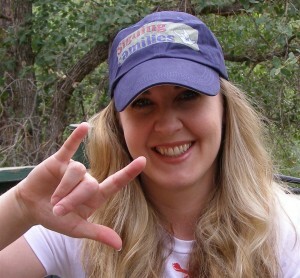 Louise and I partnered in order to create ASL charts that would help both children and teachers/parents. We’ve joined forces on numerous projects now and continue to stay in touch, email, chat via phone and more. Some day, we’ll meet in person, no doubt! Social Media outlets bring together people who might never otherwise cross paths. It shortens the divide between rich and poor, educated and non-educated, famous and non-famous, CEO’s and employees. It gives opportunity for partnerships, friendships, collaboration and networking. Shut-ins have found new ways to chat with others, seek help and reach out. Teens tap into social media to express thoughts, technology ideas and to run fundraisers for youth programs. Moms in business find like-minded pals who are ready to support, answer questions, tweet for each other and share trails/tribulations. If life is what we make of it, so is Social Media. For some people, these outlets have opened doors that were otherwise closed. While outdoor time and in-person relationships are not to be undermined, neither is Social Media. Here’s to another year of connections, collaboration and small business successes! I can attest to the fact that social media does foster friendships and transcends geography and divide. Met Shara online too. She is one of the most hardworking and caring business woman I know. It’s an honor to have Shara as a friend both online & in person. I met Shara on twitter over a year ago & today meet up in person whenever she’s in town. Take it from a woman who knows all about social media, it’s benefits for business & more importantly about connections/partnerships that can blossom into genuine friendships. It’s who Shara is – a loving & caring friend. Thumbs up to making real friends through social media – I love it and have “met” some truly wonderful people! That’s great, Leah!! I’m glad – and ditto! Thanks for the lovely comments, Bola & Ros. I appreciate your thoughtful words and I’m so glad to have “met” you all, too! Ros…in person 🙂 Many times! It’s so much fun meeting up for lunch every so often, even if it’s rushed each time. Shara and I met online and I wouldn’t have had that opportunity to meet her otherwise. And I absolutely agree with her on social media. Using social media has gotten my business marketing message out farther, faster and cheaper than any other medium. I’m glad I met you too, Antoinette! Like I always say, “Can you be friends with someone you’ve never even met? With the magic of social media, you can!” I’m glad to have met Shara, Louise….and most of the gals listed above via twitter. I cannot imagine NOT tweeting (even though my schedule of late has dictated not being able to be online much)….but….I’ll be BACK! I’ve missed you on twitter and FB, Wendy!! Hope you guys had a great hockey season.